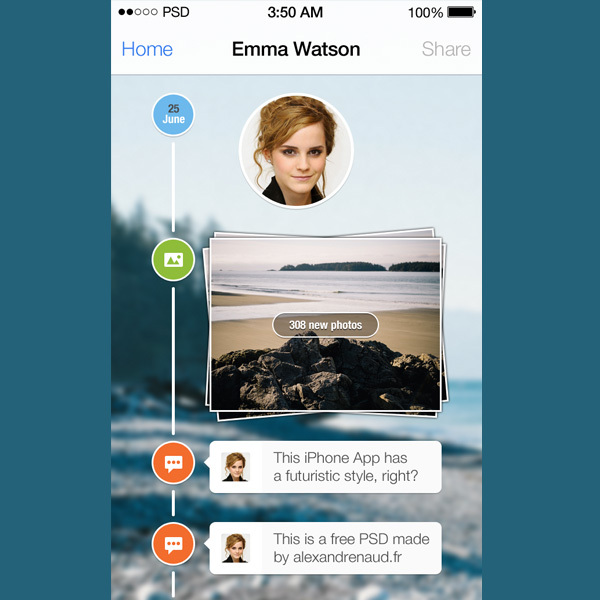 Download iOS7 Timeline Free PSD file. Novel approach to iPhone navigation – vertical step-style circle buttons with avatar and stacked paper photos – PSD. Enjoy!